Sevenoaks freezes prices until 31st January despite VAT rise | What Hi-Fi? 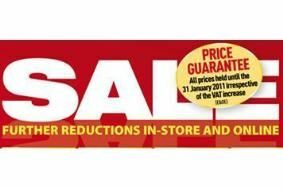 All existing offers and sale prices will thus remain until 31st January 2011, allowing you to still pick up a bargain to banish any post-Christmas blues. Head over to the Sevenoaks Sound & Vision website for more deals on home cinema and hi-fi kit.